Software Bisque Paramount MYT + Accessories Sold! I've got a 4 month old Software Bisque Myt that has only 3 nights of use on it. I've got some health/personal problems that have prevented me from enjoying this hobby like I want. I wont go into technical details about the mount or pier here. They are available on the web. The mount and accessories are in absolutely pristine and in like-new condition. I'm an OCD clean freak so It's all in perfect condition. I've got an extra 10 lb counterweight and an available IOPTRON TRI-PIER+MyT mounting plate available as well. 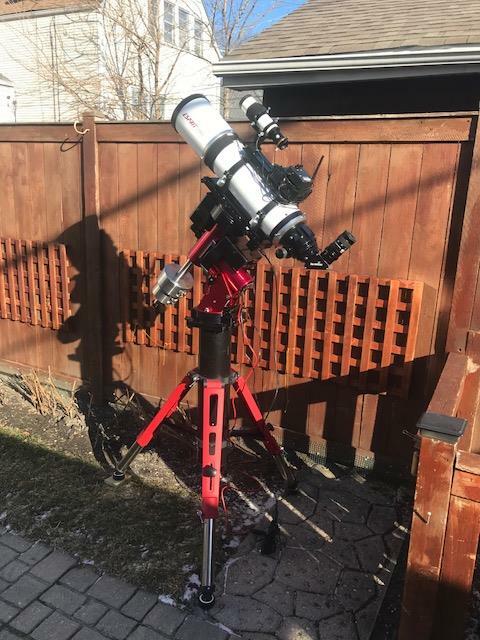 I will sell the mount and extra counterweight for $5350.00 and offer the Ioptron Tri-Pier+MyT mounting plate for an additional $500.00 if purchased together. If the pier+mounting plate are not needed I will sell them separately after the sale of the mount. 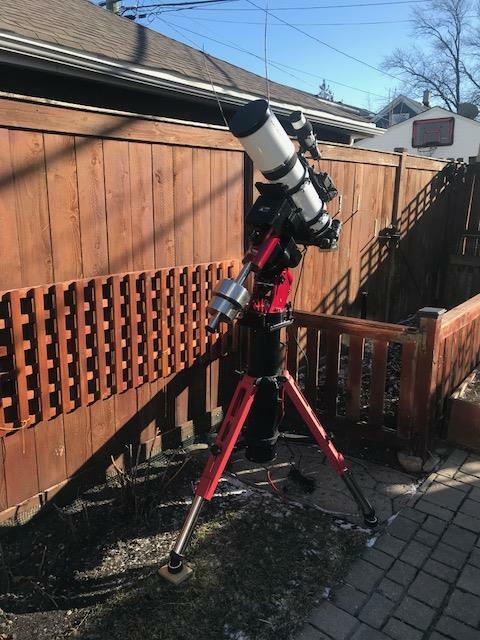 I have a 4 month old laptop available that I bought strictly for this mount with The Sky Pro, T-Point, Sequence Generator Pro etc loaded on it for an additional $200 to the buyer of the mount. Ask me about software license info etc. Shipping: This is at buyers expense from Chicago but I will pickup the first $100.00 if everything is ordered together. Everything will be shipped in the original boxes that I still have. Shipping is for the CONUS only. This is a great deal on a mount that is difficult to find at the moment. Any questions, please email and ask! Please do not low-ball me, I'll block you. I'm not looking for trades. Additional discount for active/retired police/fire members with proof. 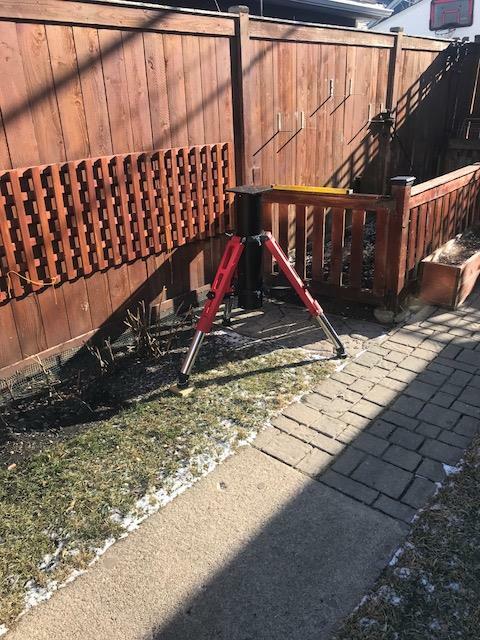 Pick-up is available in Chicago ( I promise you won't be murdered) at a discount. The Sky-Watcher Esprit 120 pictured is not included with this sale.